What are the Basic Beliefs of Muslims? Religion has always been a source of guidance for humanity. And a perfect religion is only that which guides and instructs its followers not only in their day to day dealings but also in their creed to set a right direction for them in this temporary life. Moreover when both these things are combined together and are observed with full spirit only then we find a human being living a life full of internal bliss and peace. Islam as a religion is exactly like that. Without any exaggeration it is able to guide us in every sphere and phase of life. The comprehensiveness of Islam is enough as an evidence to prove that it is the only real Divine-ordained religion. Here in this blog we shall have a very brief look upon the basic beliefs of the Islam as a faith. Faith in Allah عَزَّ وَجَلَّ: Muslims believe in one God. And they call Him with the name Allah. He is alone. There is no partner to Him neither in His being nor in His attributes. Only He is worthy of worship. Faith in Angels: Angels are the creation of Allah عَزَّ وَجَلَّ and they are created by light (nur). They are humble servants of Almighty Allah عَزَّ وَجَلَّ who carry out His commandments. 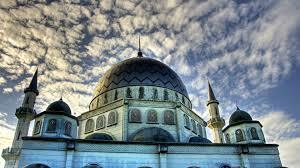 Faith in Prophets of God: Muslims also believe in the institution of Prophethood. Almighty Allah عَزَّ وَجَلَّ chooses whomsoever he wills as his Prophet and that Prophet communicates the Divine message to His bondman. Adam عَلَیْہِ السَّلَام is the first of all the Prophets while Muhammad صَلَّی اللّٰہُ تَعَالٰی عَلَیْہِ وَاٰلِہٖ وَسَلَّم is the last and final Prophet. There can never be any Prophet after him. Some other Prophets are also mentioned in the Holy Quran. All of them came with the same message of oneness of Allah عَزَّ وَجَلَّ and that only He is the worthy of worship. Faith in Revealed Books of God: Muslims also believe in the divine word which is only revealed to the chosen Prophets. The Holy Quran is last of all the book of God. It is free from any distortion and is protected from every forgery and distortion. Many books were revealed to the Prophets before the Prophet Muhammad صَلَّی اللّٰہُ تَعَالٰی عَلَیْہِ وَاٰلِہٖ وَسَلَّم but all those books were, unfortunately, distorted and manipulated by the people. Faith in Day of Judgment: Muslims believe in the Day of Judgment as well. The whole creation will be resurrected on this day. It is the day of accountability wherein every human being will have to stand for the accountability of his actions done in this life. Faith in Destiny and Divine Decree: Muslims believe that the knowledge of Allah عَزَّ وَجَلَّ is perfect. Everything happens with His will and knowledge. Dear Islamic brothers! These are the most basics of the Islamic beliefs. And in order to learn more detail please visit our website www.dawateislami.net. And download the book “Welcome to Islam”. In sha Allah this book will illuminate our hearts with true teachings of Islam. May Almighty Allah عَزَّ وَجَلَّ enable us to choose the real Divine path and keep us on it for rest of our lives! Amen. This is apprehended from a verse in the Holy Quran (Koran) where Allah declares: “Innd deena indal lahil Islam.” (Definitely, the just satisfactory kind which (God) Allah will welcome is Islam). It is one of the Prodigious religions in the world, with more than 1 billion attendants. It is a beautiful faith based on acknowledgement secured by the holy Prophet Muhammad in the 7th-century. In Arabic it means “submission,” mirroring the faith’s central belief of submitting to the will of (God) Allah. Pursuant of this religion are entitled as Muslims. The most important theory and the dorsum of all its other proposition and implementation is the integrity of God (Allah) – tawhiid. It is devoted in its genuine structure, and the reasoning of the genuine sound is the strong fiber of the teachings of the holy prophet which is perfectly lined through the undivided beautiful fabric of the religious way of life till today. It educates a clear contrast between (God) Allah, the Creator and the creations which He has created. The skies, the stars, the moon, the harmony and perfection of the natural world, the elegance and charm of the human figure and the brilliance of the human intelligence, the transformation of day and night, the revision of the seasons, and the mystery of life and death and the awakening at the day of judgment all pointing to something much much more, greater than themselves. It enlightens that (God) Allah is not to bear comparison to anything which He has created. He is Almighty, Immortal and Everlasting. He is beyond any deficiency, and is the fulfiller of all betterments. He is not a structure, nor is He like any of His creations. He is not a far away and distant God, nor is He an uncommunicative Supreme. He is All-Gracious, All-Kindly, and All-Loving. According to the ritual, the angel Gabriel came to the holy Prophet Muhammad for the time period of 20 years, disseminating many messages from (God) Allah. The holy Prophet devoted the residuum of his life in spreading the message of faith in an infidel world. In 622, he migrated north to the city of Medina to abscond growing discrimination. Eight years later, the holy prophet Muhammad marched back to Mecca with an army and once again invited them into the religion and the entire Arabian Peninsula came under Muslim supervision. Religious practices focus on the Five Pillars (1) Faith (2) Prayer (3) Fasting (4) Alms (Zakkat) and (5) Pilgrimage to Mecca (Hajj). The Arabic word “jihad” is usually expressed as “holy war,” but in an entirely grammatical sense, the word “jihad” means trying or attempting. As the right Arabic meanings for war is: “al-harb”. 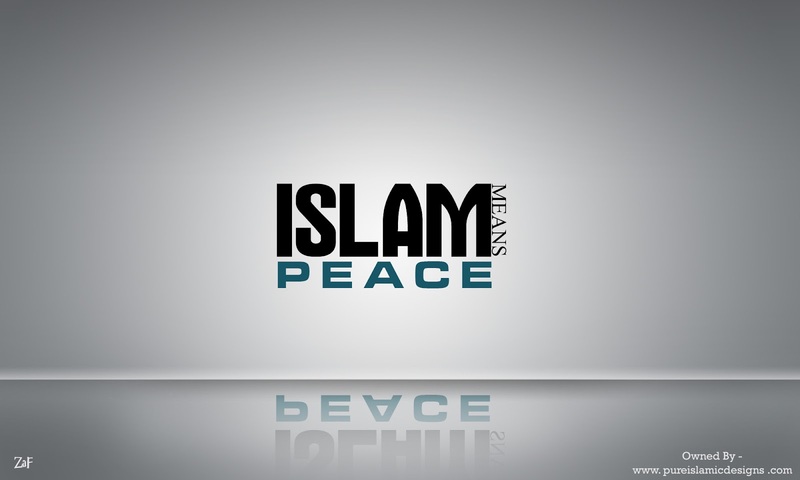 In a religious sense, as described in the holy Quran (Koran) and teachings of the holy Prophet Muhammad “jihad” has many meanings. It can refer to internal or external efforts to be a good Muslim or believer. Submission to the good will of God (Allah), together with obedience to His valuable Laws and converting into a Muslim, is the best indemnity for mankind’s tranquility and harmony.